Xylella fastidiosa has been named the number one unwanted plant pest for Australia in 2016 and is a High Priority Pest for the wine industry. “It’s a major threat due to multiple hosts and vectors, rapid impact and global spread, and we need to keep it out,” says Inca Pearce, Vinehealth Australia CEO. Xylella fastidiosa is an invasive bacterial plant pathogen which affects the xylem of plants where it blocks the movement of water, dehydrating the plant and causing death within a couple of years. While it’s known as Pierce’s Disease in grapevines, it’s known by other names in other host plants. It is transmitted by sap sucking insects (in particular the glassy-winged sharpshooter in California) and by the movement of grapevine propagation material. Xylella fastidiosa is currently found in Europe, Asia, Middle East, North America, Central America and South America. Symptoms: Scorched leaves, browning and loss of leaves, stunted shoots, reduced fruit size over time, dieback, death of plant. Conducting a pest risk assessment. Evaluating import measures for vectors. Preparing an economic assessment of potential impact. Field visits to countries dealing with xylella including Italy and the United States. Hosting a regional symposium with international experts to share their experiences and knowledge. Prioritising xylella as a surveillance target for the 2016-17 national plant health surveillance program. Strengthened quarantine conditions for importation of nursery stock to prevent entry. Be aware of the issue and monitor your crops. Source plant material from high health schemes. Support research into appropriate control and management strategies. 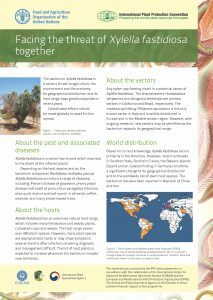 Xylella (Xylella fastidiosa) factsheet. 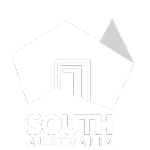 Australian Government Department of Agriculture and Water Resources. Pierces disease factsheet. Plant Health Australia. 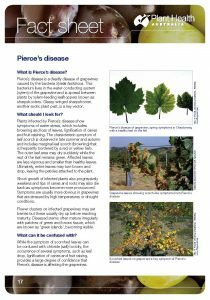 Exotic Pest Alert Factsheet: Pierce’s disease in grapevines. NSW Government Department of Primary Industries. Pest Management Guidelines – Pierce’s Disease. University of California Agriculture and Natural Resources. Pierce’s Disease reports. Wine Institute. Department of Agriculture and Water Resources’ You Tube video.